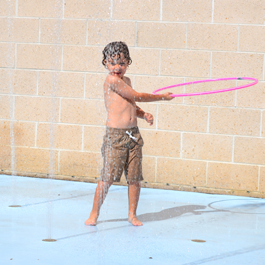 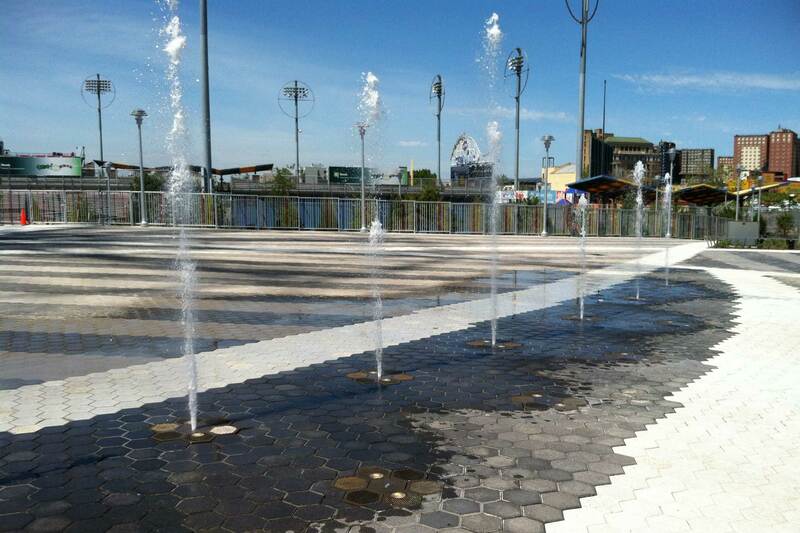 The interactive water feature at Coney Island sits near the historic carousel in Steeplechase Plaza. 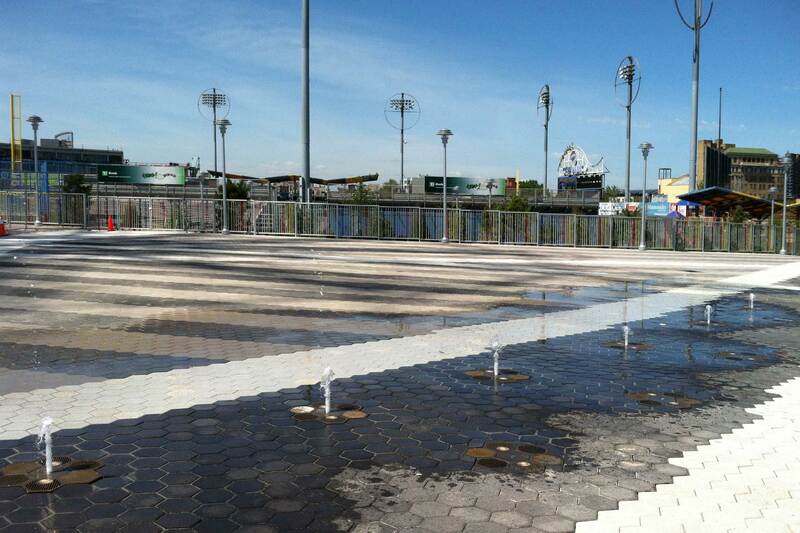 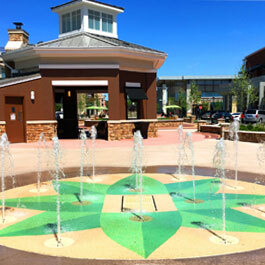 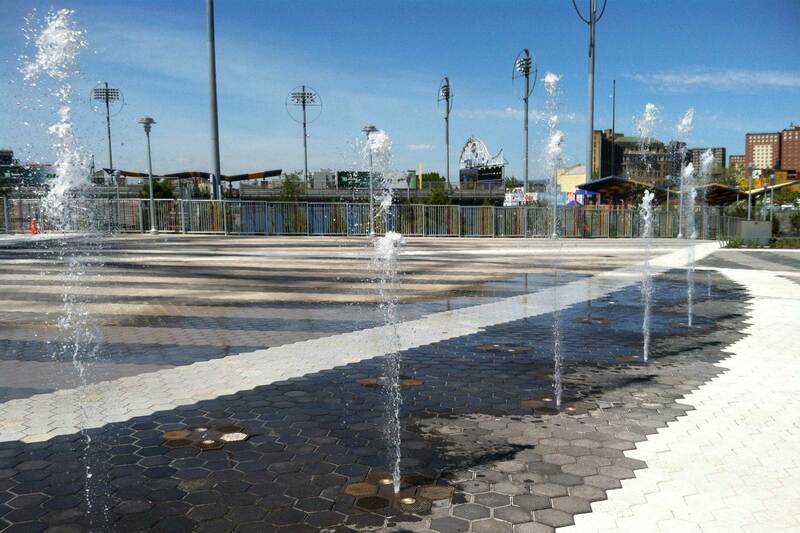 Delta Fountains was part of the team to rebuild the Coney Island plaza after Hurricane Sandy, in 2012. 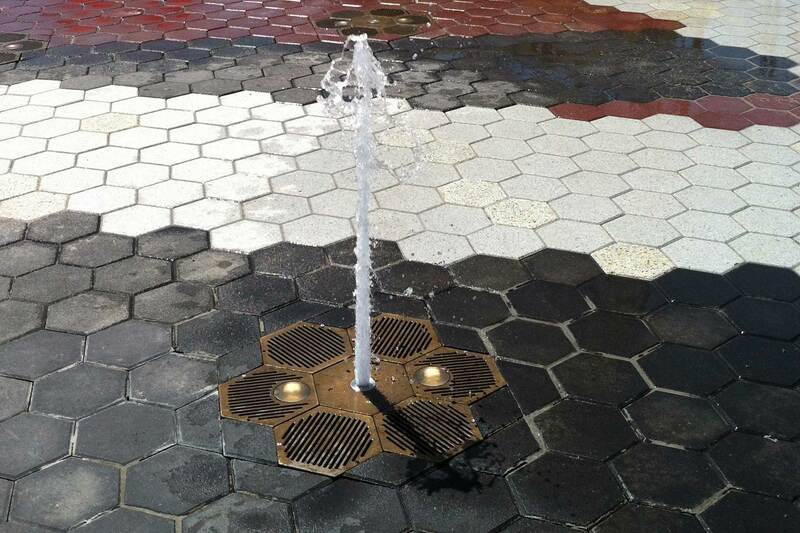 The jet assemblies were custom designed to fit New York’s standard hexagon concrete tiles. 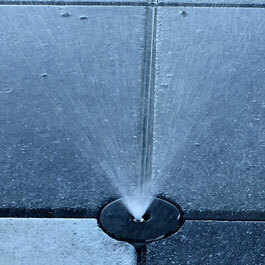 Each jet assembly includes a ground effect nozzle, two lights, and a custom stainless steel sump. 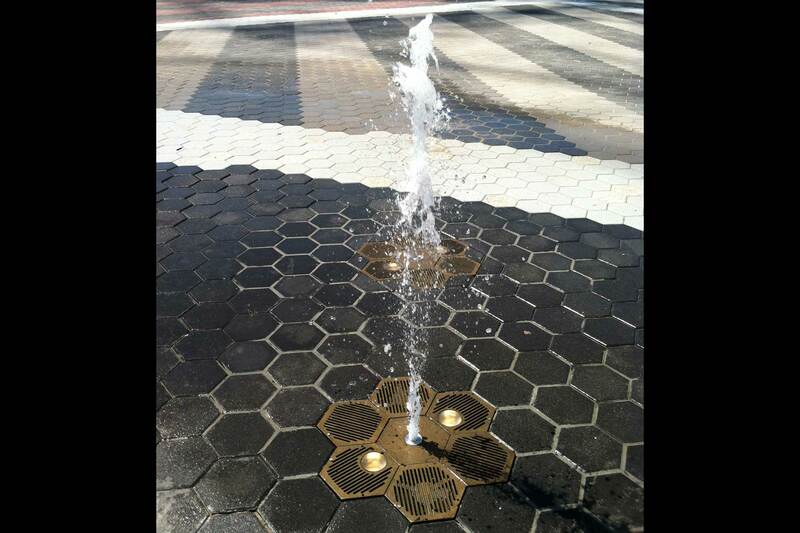 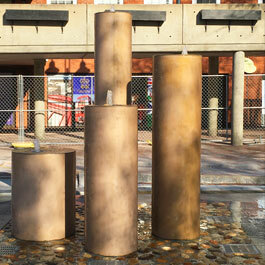 Click the video below to see the fountain in action.